According to the U.S. Department of Agriculture, kids from kindergarten to age eight need 1½ cups of vegetables and 1½ cups of fruit each day. But getting your child to eat her fair share of healthy fruits and vegetables can sometimes be difficult. Here's a project to inspire your child to start eating super healthy: make a Healthy Foods Rainbow! 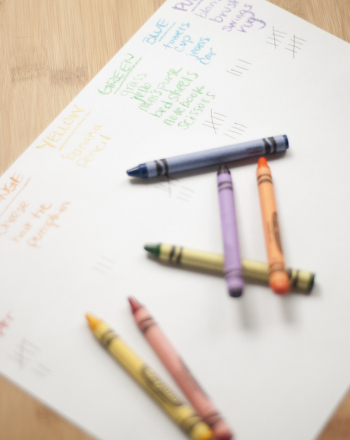 In this activity, your child will colour a rainbow, glue on fruits and vegetables, and keep track of which healthy super-foods she eats throughout the week in a colorful way. 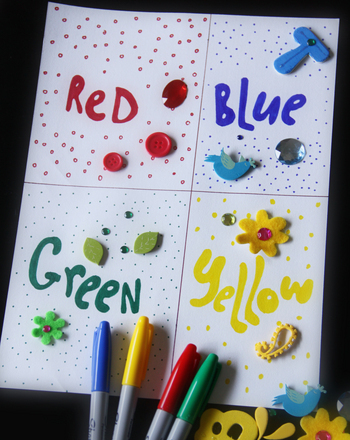 Not only will your child's fine motor skills and and bar graph skills improve, but she'll also get to create a wonderful picture that'll help her keep healthy eating habits for years to come. Discuss what colors make up a rainbow. 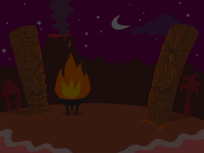 Tell her the order of the rainbow’s colors (red, orange, yellow, green, blue, indigo, and violet). colour the rainbow. Have her cut fruits and vegetables from the grocery ads. You might want to have her trim them smaller so they fit onto the rainbow. Try to find a healthy fruit or vegetable for each colour of the rainbow. Let her name the fruits and veggies, and glue them onto the correct colour of the rainbow. For example, strawberries and red bell peppers would be glued onto the red section of the rainbow, while oranges and butternut squash would be glued onto the orange part. 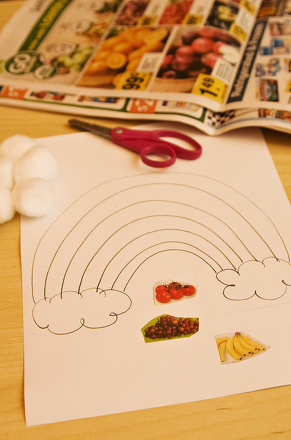 Make puffy clouds to complete the picture by stretching each cotton ball and gluing it into place on the rainbow drawing. Now hang the rainbow on your refrigerator to remind your child (and family!) to eat all the colors of fruits and vegetables. Use the graph to show the different colors of fruits and vegetables that your child eats during the week. Beginning at the bottom of the bar graph, colour a box for each colour of fruit or vegetable eaten. 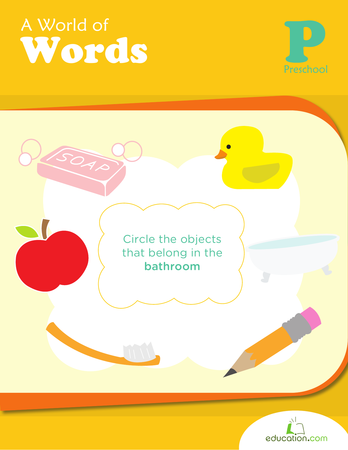 For example, if you eat a carrot stick, colour an orange box. 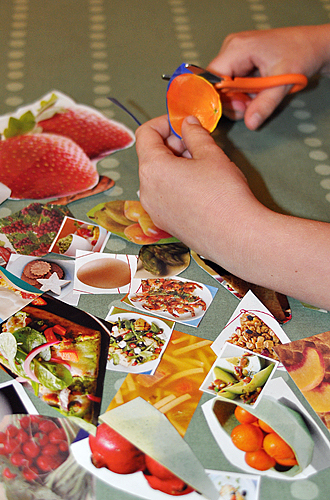 Can your preschooler eat a rainbow of fruits and vegetables this week? Try it and see! 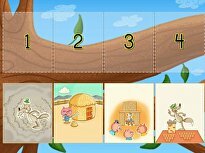 Here's a kindergarten colour collage activity to help your child work on her sorting skills, and create a beautiful addition to the refrigerator gallery. Are the more lasagna pieces than plates of chicken? 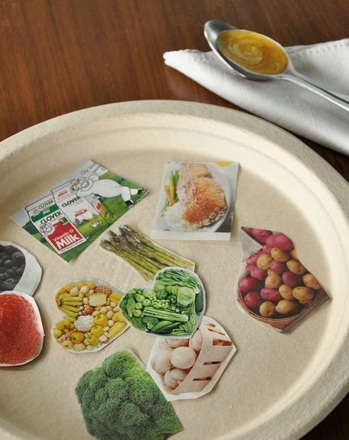 This fun printable asks your child to compare quantities between groups of food items. 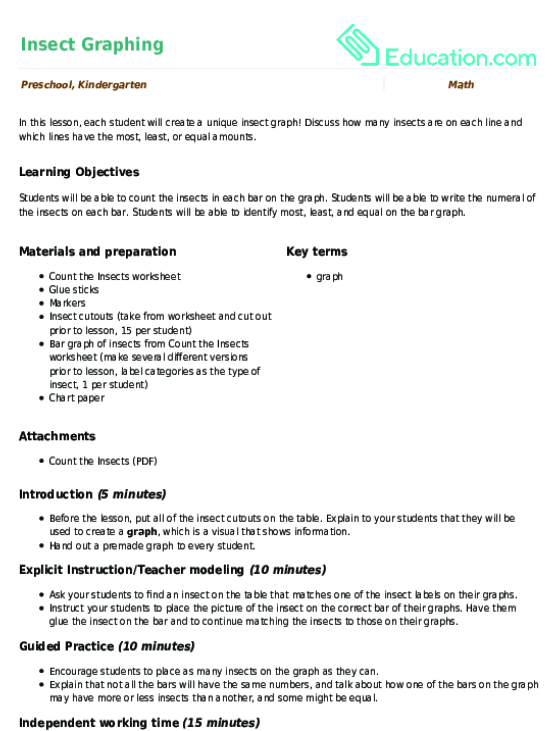 In this lesson, each student will create a unique insect graph! 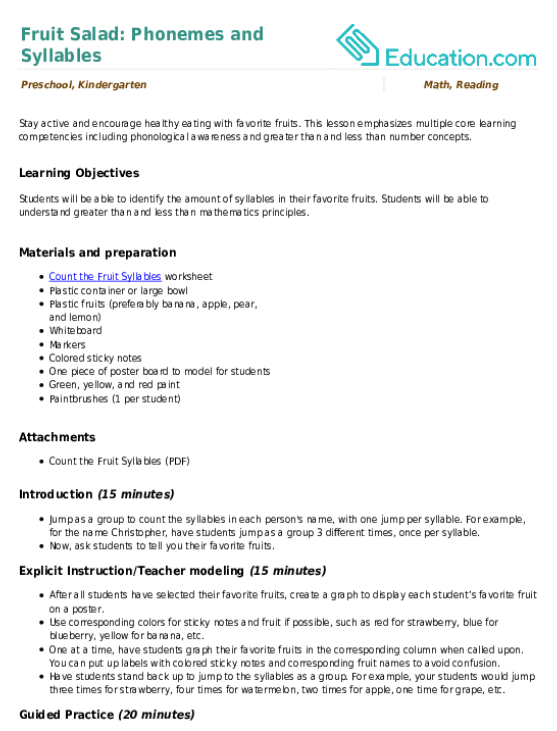 Discuss how many insects are on each line and which lines have the most, least, or equal amounts.